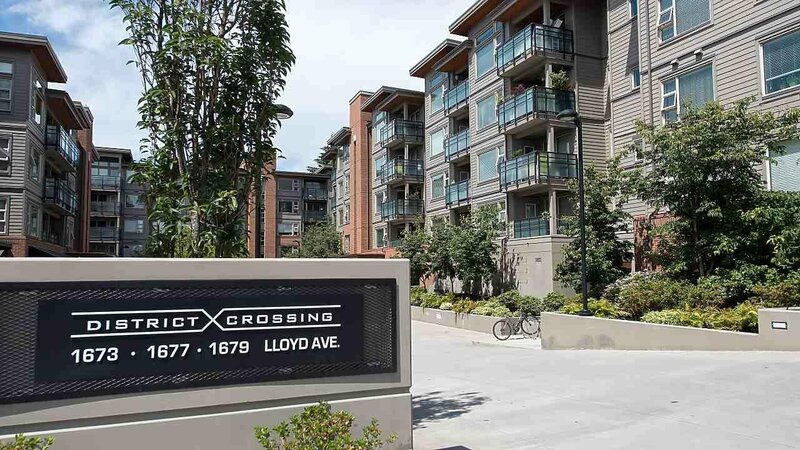 Fantastic opportunity to purchase this beautiful 1 bed + den unit in District Crossing development. 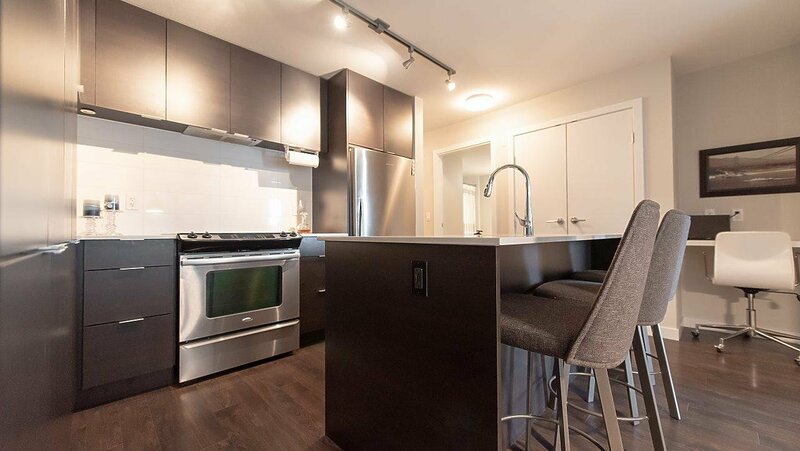 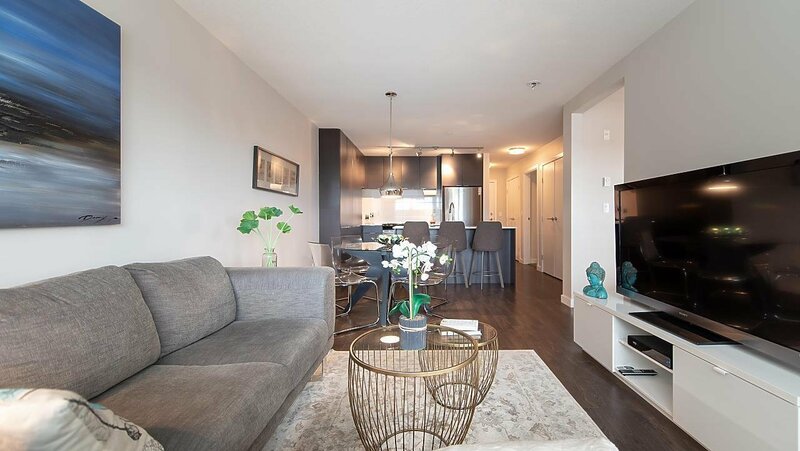 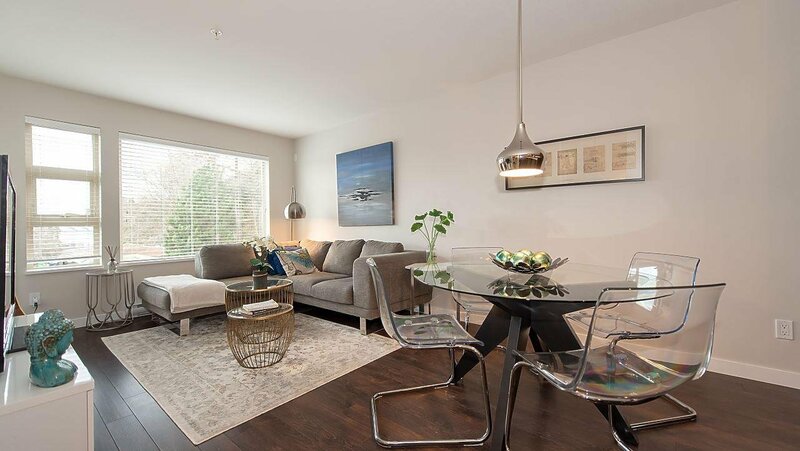 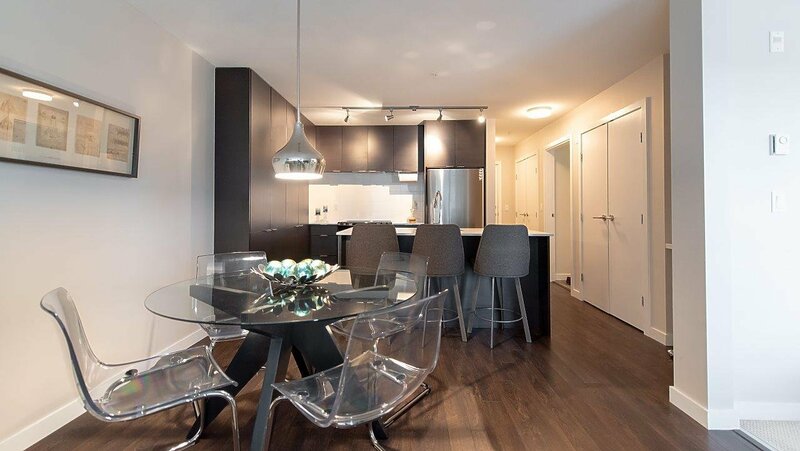 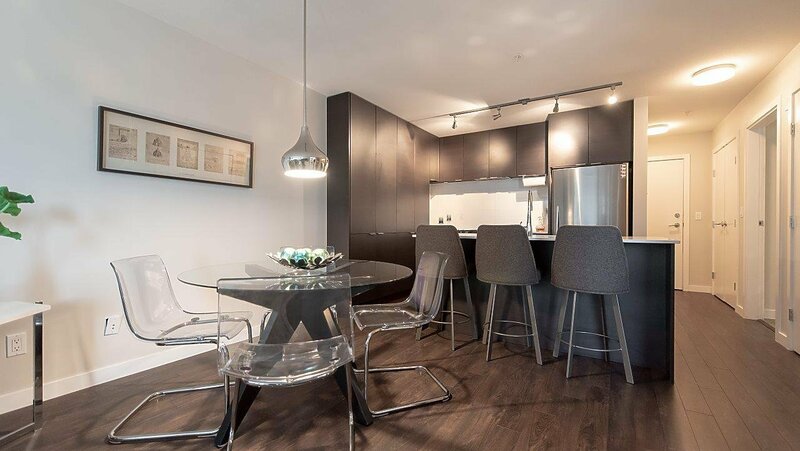 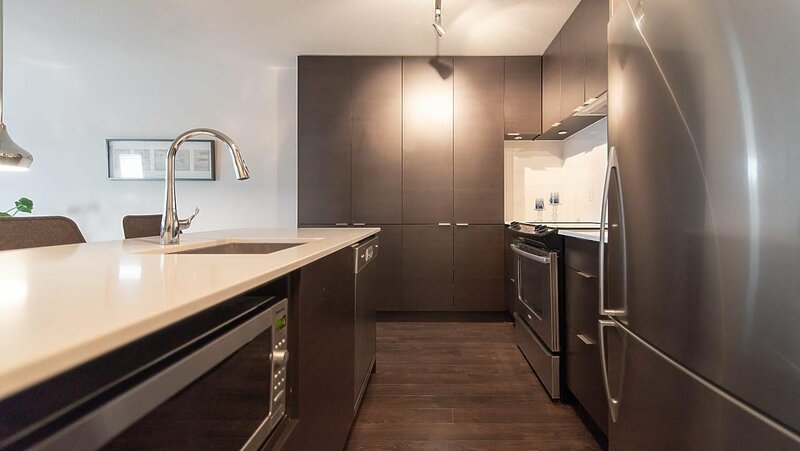 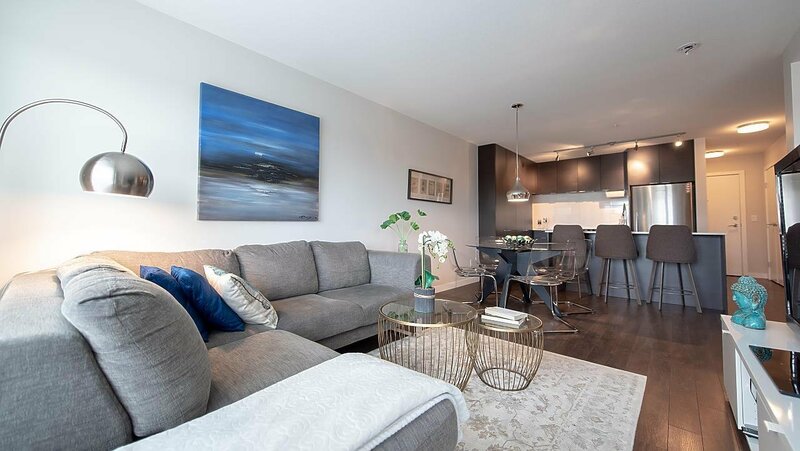 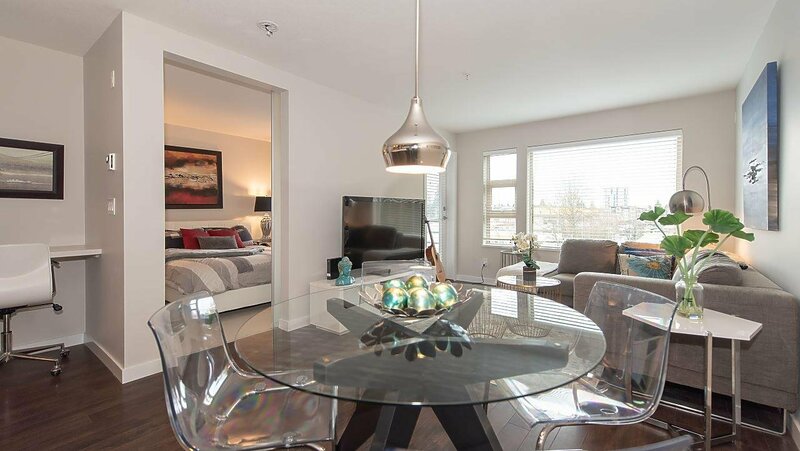 A modern well-designed open concept suite with stunning walnut coloured laminate flooring. 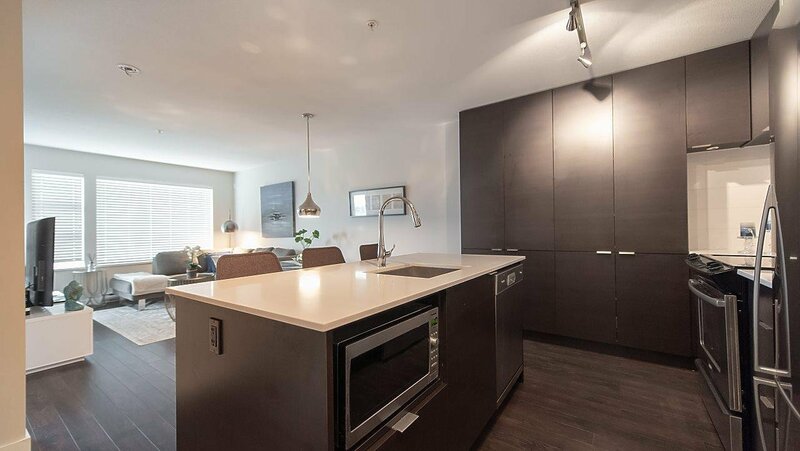 Sleek kitchen with loads of cupboard space and an island to cook and gather around when friends and family visit. 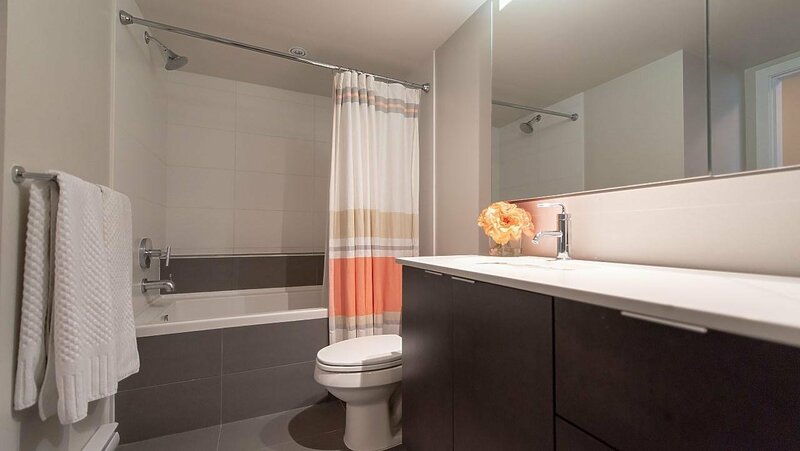 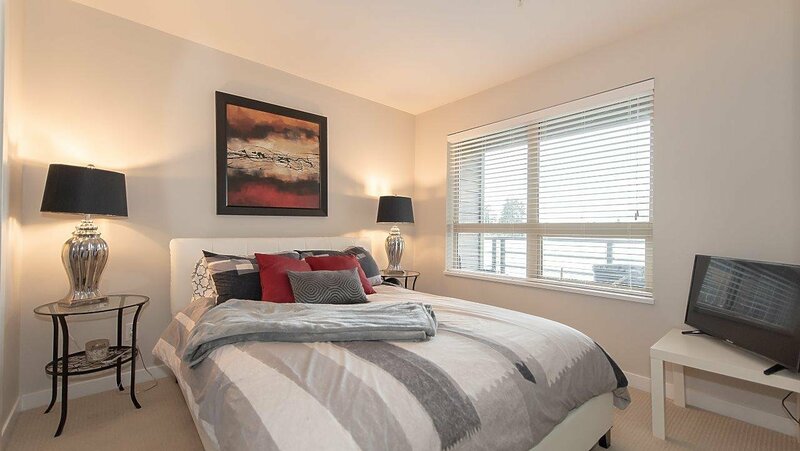 Generous size Master bedroom with walk-in-closet that leads to the ensuite with large soaker tub to indulge in.  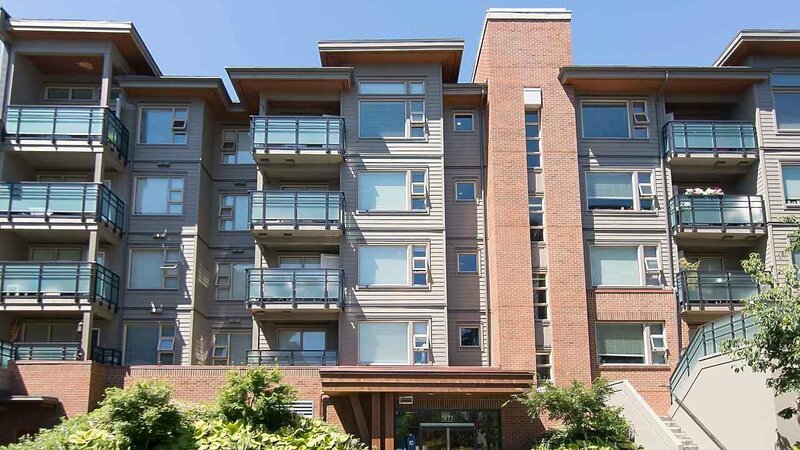 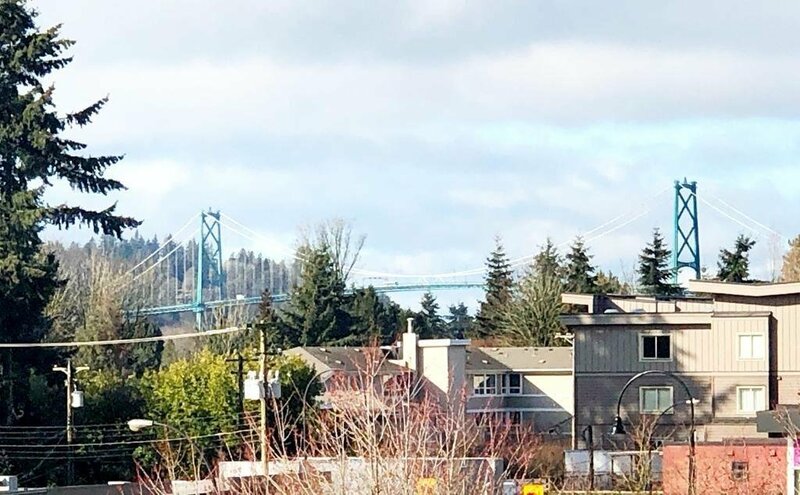 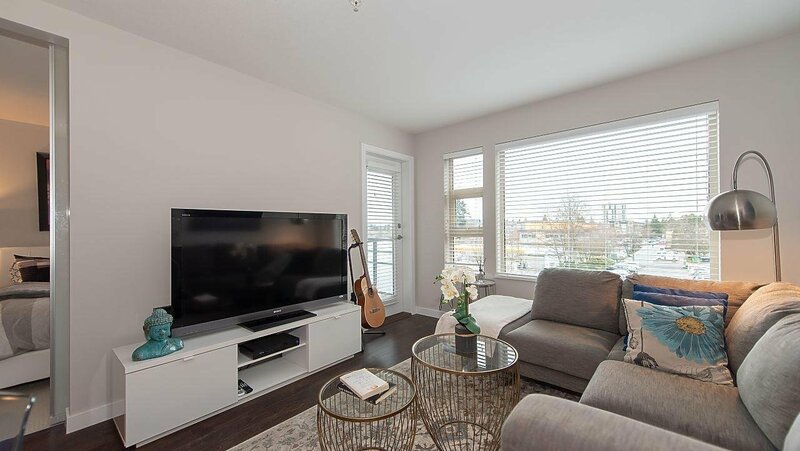 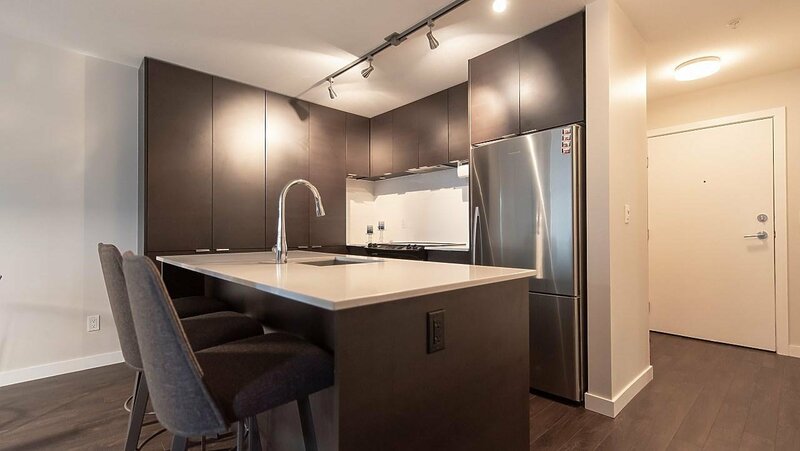 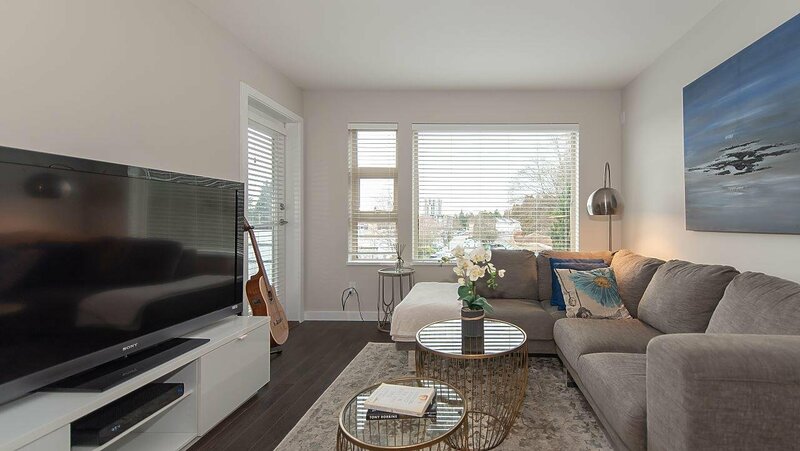 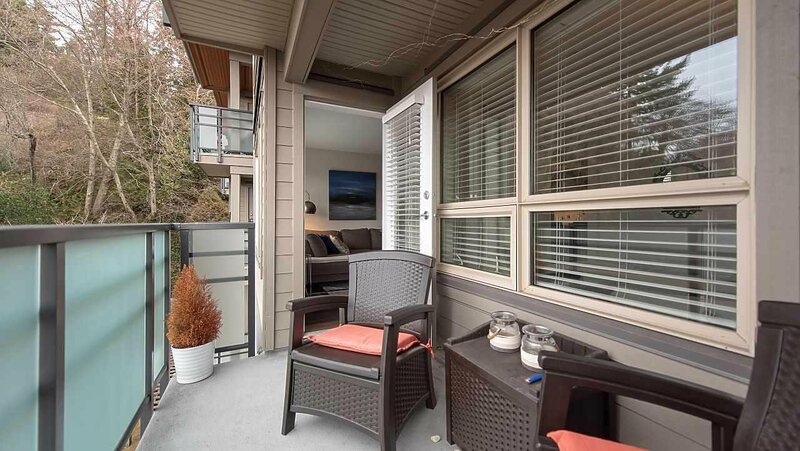 West facing unit with lions Gate Bridge Views with a spacious balcony to enjoy bright sunny days on. 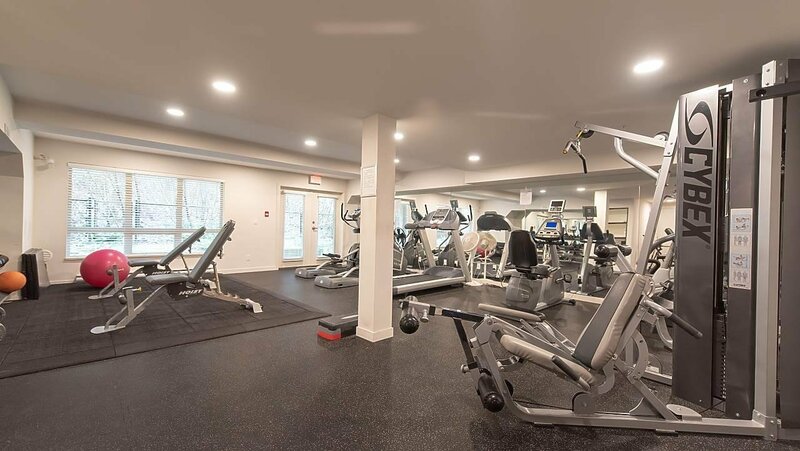 Take full advantage of the well-equipped exercise facilities that will meet your workout needs. 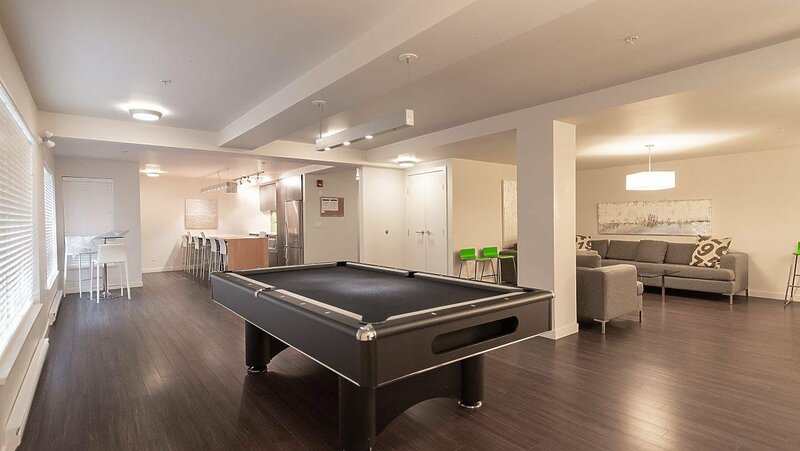 Impressive amenities room with Pool table, kitchen, large Flat Screen TV and lounge area to gather in and celebrate those wonderful life moments.